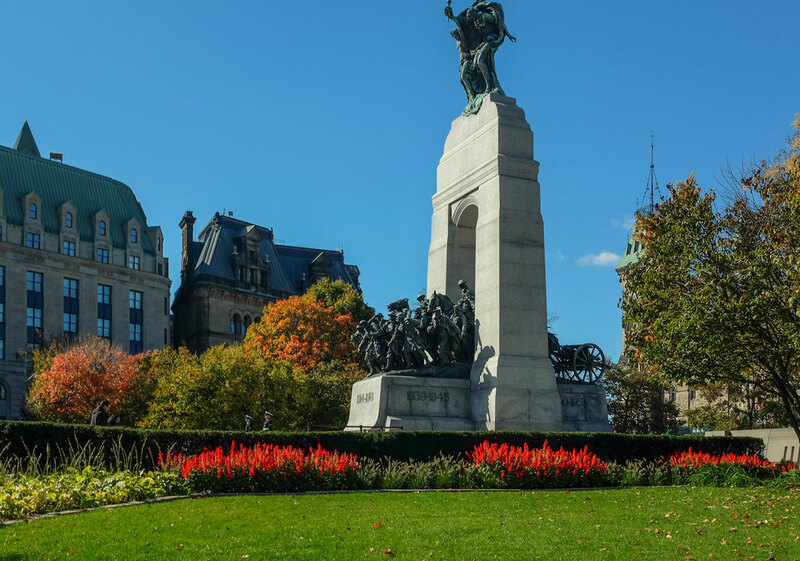 This is the National War Memorial in Ottawa, which honours more than 116,000 Canadians who died in the Great War of 1914-1918. We had visited the monument a couple of weeks before Cpl. 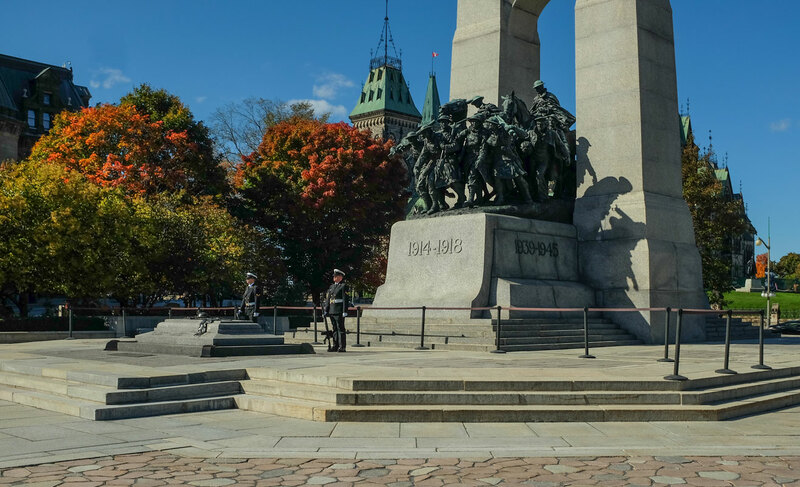 Nathan Cirillo, a reservist with the Argyll and Sutherland Highlanders, was gunned down while standing guard in front of the monument. 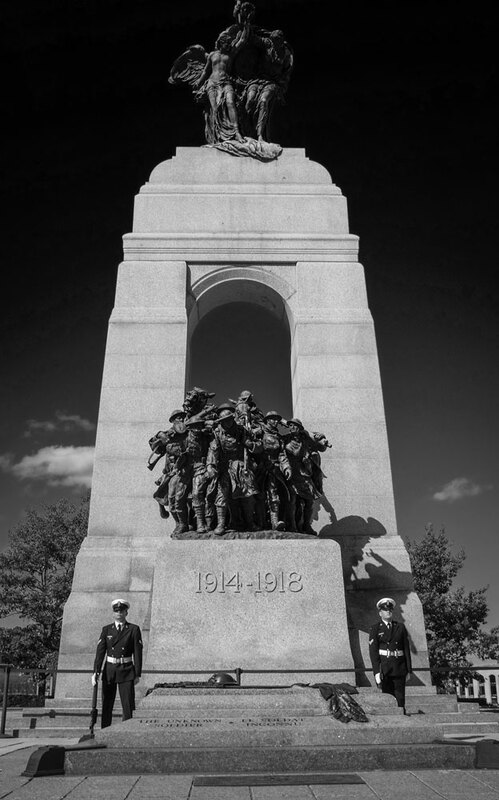 The honour guard has served as sentries at the Tomb of the Unknown Soldier during the summer since 2007. 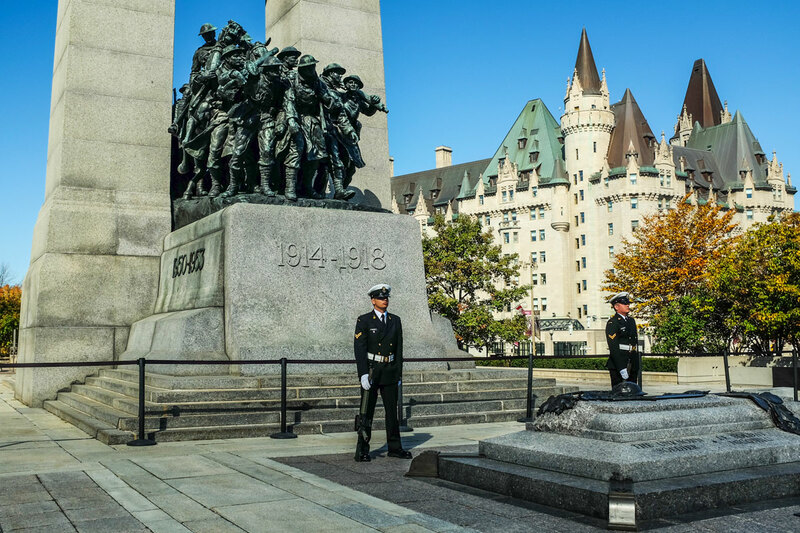 The ceremonial guard was reinstated two days after the attack and will continue to serve until Nov. 10, the day before Remembrance Day. The remains of an unidentified Canadian soldier who died in the First World War were repatriated from France in May 2000 and, in a special ceremony, buried in a special tomb in front of the war memorial. Thank you for the posts about the War Memorial and what an evil deed to kill the soldier on guard just there at that place. Magnificent sculpture . The added shadow you’ve captured of soldiers following each other connected and distinct falling away to something less tangible adds another dimension of poignancy . Remembering is easy enough but when are we going to learn? It doesn’t look like it will be any time soon, so the least we can do is remember. Thanks for the comment. Seems to me that you are putting peace on the “too difficult” pile. Do you think that is wise? Great Photos – really enjoyed it! Thanks Alex for the visit and comment. More than welcome – love animals! Keep it up. Thank you, I will be sure to visit. I’m sorry that happened! Great write and great photos! He was laid to rest with full military honours in his home town. Don’t know of any other plans but we will remember him and all others like him every year on Remembrance Day. Thanks for the comment. Those photos could absolutely be used for Veteran’s Day. Thank you, appreciate the comment. This entirely devastated me as a Canadian. I love the pictures you included in your post. 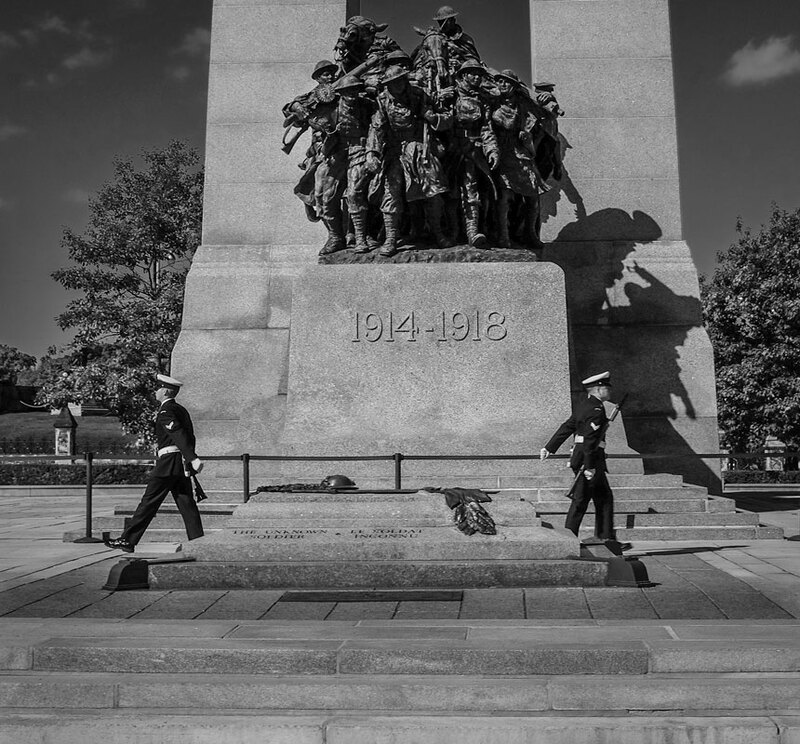 I also wrote a blog about Nathan Cirillo, a hero, in my eyes. Thank you very much. One cannot help but be heartened by the thoughtful actions of so many Canadians to the tragedies of that week. I just wish this had of been that war – “To end all wars” but they just keep on and on. But I must say I love my Canada! I completely agree! Thanks for the visit and comment. A great testament to “the war to end all wars.” Thanks for the post! It certainly is. Thanks for the comment Robert.